Queensland fishing and tourism television program Creek to Coast had a successful week filming in the region in March. 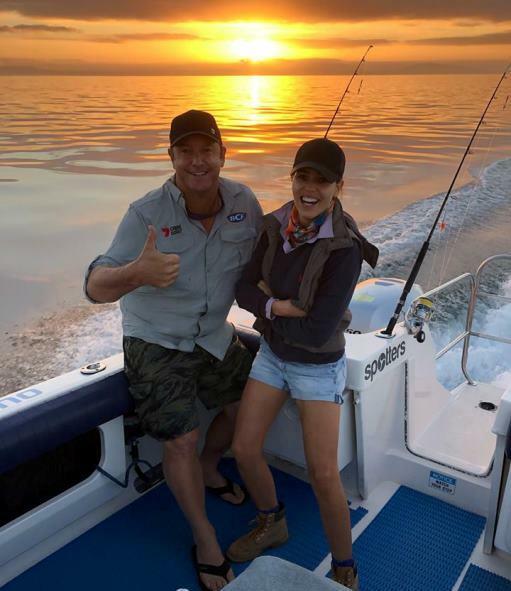 The team filmed fishing for King George whiting and tuna around Coffin Bay, swimming with the sea lions in Baird Bay and a weekend trip to the Gawler Ranges across the week. Series producer Rebecca Fawcett said the beautiful landscapes and welcoming people were a highlight, and some fantastic footage was recorded. The content is expected to air across three episodes, beginning in late May.